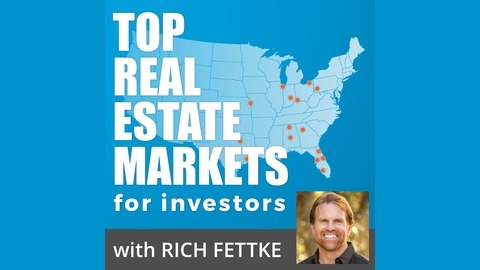 In the Top Real Estate Markets for Investors Podcast you'll learn about the best U.S. real estate markets to invest in today, and why. Your host is Rich Fettke, the Co-Founder and Co-CEO of Real Wealth Network, a company that's been helping people create financial freedom by investing in the strongest real estate markets for cash flow and equity growth since 2003. 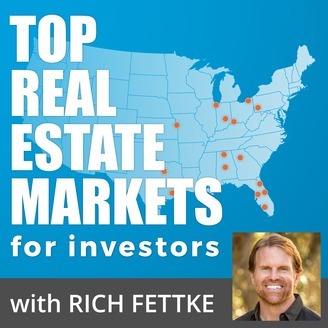 In each episode Rich provides an in-depth look into one of today's top investment markets, highlighting the factors that make each a strong market to invest in 2018 and beyond. Markets discussed: Atlanta, Birmingham, Chicago, Cincinnati, Cleveland, Dallas, Detroit, Houston, Huntsville, Jacksonville, Indianapolis, Kansas City, Orlando, Pittsburgh, Tampa. Topics covered for each market include: geography, history, economy, revitalization, affordability, cash flow, equity growth, population growth, and job growth.